Fat intake is always associated with increased calories. Fats, also known as triglycerides, are an important source of energy. However, they are not the healthiest option available for increasing calorie intake. Fats can be healthy or unhealthy. Meat, butter, cheese, and hydrogenated oils are usually the source of unhealthy fats such as trans fats, saturated fats, etc. Healthy fats are present in foods such as nuts, olive oil, dark chocolates, avocados, eggs and some types of dairy products. But does this mean that they contain no calories at all? This is not so. Various studies have found that this is a myth and is not true. What does Research say about ‘Low Fat’ or ‘Fat-Free’ Foods & Weight Loss? Why do ‘fat-free’ foods contain calories? What are the disadvantages of low-fat foods for body weight? Why are zero calorie foods not good for health? Being ‘fat-free’ does not mean that the food does not contain any calories. These labels are usually a clever marketing technique to trick more health conscious people to buy the products. It is true that they contain a much lesser fat content, but most of these products are not completely deficit of calories. A recent study observed that a calorie-restricted diet was more effective for weight loss than a restricted fat diet. Consuming fewer calories led to a significant decrease in the body fat percentage and the resting metabolic rate (energy required by the body to perform basic metabolic functions when it is at rest). This study determined that calorie count is more important than fat content. When fats are removed from food items to make them ‘low-fat’ or ‘fat-free,’ other substances are added to it to improve and enhance the taste. Fats can be commonly replaced by sugar. This makes the food low in fat, but not low in calories. A study reported that foods which are low in fat might contain even more sugar than the regular ones. This means that the food is high in calories, even though it is ‘low-fat.’ Even ‘no-fat’ foods were found to contain more sugar than normal food items. Sugars are a major cause of obesity. Consuming low-fat foods containing high sugar levels can increase weight instead of helping with weight loss. Monounsaturated and polyunsaturated fats are good for health and can help in weight loss. They improve cardiovascular health and bring down the low-density lipoprotein cholesterol levels and prevent the risk of heart diseases. Fat-free foods are devoid of these healthy fats. Fat-free foods may also contain salt in excess. Salt contains sodium, a mineral which can increase the risk of cardiovascular disease. Studies recommend that health-conscious people should always check the sodium content in foods which are low in fat. Some fat-free foods were found to contain 8-10 % higher sodium content than normal food. These foods were mainly cheeses and salad dressings. If the low-fat foods do not contain any added sugars or salt for taste, people will not find it satisfying, and they will tend to eat more of it. Doing this does not help with reducing the calorie count and defeats the purpose of a fat-free diet. According to studies, a low-fat diet should be accompanied by low energy as well. It should be a balanced diet containing fewer calories rather than fewer fats. Foods without any calories are not healthy as they don’t provide the energy required by the body to carry out daily activities. They may be rich in some nutrients but are deficient in some major micronutrients. Studies have found that alternate calorie restriction diets were better and more effective than daily calorie restriction diets. This shows that low-fat foods can be consumed, but they should not be the only part of our diet. Fats contain a high amount of calories, so they should be consumed in a lesser quantity as compared to other nutrients like carbohydrates and protein. The fat intake can be decreased by decreasing the portion size of fat containing foods. This way, an adequate amount of fats will enter the body without causing weight gain. Healthy fats like olive oil, fats from nuts, coconut oil can be still included in the diet. Weight is reduced only when the calories consumed is less than the number of calories burnt. Therefore a diet low in calories should be taken for effective weight loss. Studies report that low-calorie diets consist of about 800-1500 calorie intake on a daily basis while very low-calorie diets only require 800 calorie consumption daily. This has nothing to do with the fat content of the foods consumed. In fact, all the nutrients such as carbohydrates, fats, proteins, fiber, minerals, and vitamins should be balanced in the diet. Every nutrient should be balanced to obtain a healthy body. This includes fats as well. A low-fat or fat-free diet may contain lesser fats, but other harmful substances are added to those foods to make up for it. It is very common for these kinds of foods to contain high sugar and salt content to improve the taste. If this is not the case, then the food does not taste as good as the original version. This makes people eat more of it and adds more calories. Sugar contains a high number of calories which can be very harmful to health, especially the heart and cholesterol. It leads to a faster weight gain as observed by various studies. 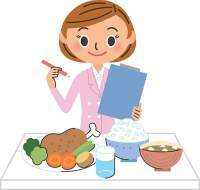 It is important to take care of our diet and body weight. Healthy foods such as fruits, vegetables, and grains should be consumed on a daily basis. Does Metformin Causes Weight Loss?